I was able to access the demographic information for the whole prison population of the state as well as for my particular institution. Common demographics that are tracked by the Department of Corrections (DOC) include age, race, education, marriage status and number and age of children. Other statistics DOC provides are the county of conviction of each inmate. If a library collection only targeted adult male criminals it would be too limited in scope. Not only do I want to know the demographics of the prison population, I want to compare them with adult males in the state population. Therefore I want to know what non-criminal adult males are reading in my state in order to connect with the wider cultural context. That connection would enrich and guide the expansion of my collection for inmates who will one day be free citizens again. One way demographics can help with collection development is by outlining the percentage of racial groups incarcerated in the state and in my correctional institution. In Oregon, the percentage of Hispanics in prison is growing to be about equal to the percentage of African Americans. Therefore the library collection should reflect a close ratio of African American and Latin fiction authors. My goal is to provide at least ten fiction titles per inmate for these four major racial groups in my state, African American, Latin American, Native American and Asian American. 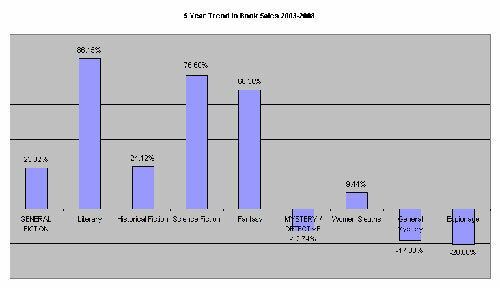 My surveys indicated a preference of fiction over non-fiction as well as to have a few more titles of poetry rather than biography. The demographics on education inform me of the reading level of inmates so I know how many inmates have some college, high school or less than high school education. I do not have to assume the reading level of inmates. By knowing how many inmates qualify for Adult Basic Education, it lets me know how many easy reading titles to include (ten per inmate). I work with the education staff to furnish fantasy and adventure authors such as Lloyd Alexander and Gary Paulsen who write stories adults can also enjoy. Another example of prison demographics used for a collection development plan is taking into account the percentage of married and unmarried inmates. Since the greater majority of inmates are not married, there will be a few more books on relationships than marriage. DOC demographics also show the inmates who are parents, primarily have children under the age of four. This information guided the collection development for the visiting room (since I did not have access to demographics of actual visitors). The DOC also provides a breakdown of the percentage of inmates who come from urban environments as well as rural environments. What are adult men in the urban centers of my state reading compared to the adult men from rural counties? In Oregon we have a well known bookstore in Portland with a web site listing the 50 most popular books purchased from that store. We also have a large urban library, the Multnomah County Public Library, with 45 books recommended by patrons on their web site. To find out what adult males are reading in rural Oregon, I looked at the web sites of rural public libraries that sponsored annual community reading projects. This is a program where one book is chosen for all the members of that community to read and share together. I also was able to find out through publisher’s records and yearly book sales, the national reading habits of Americans. 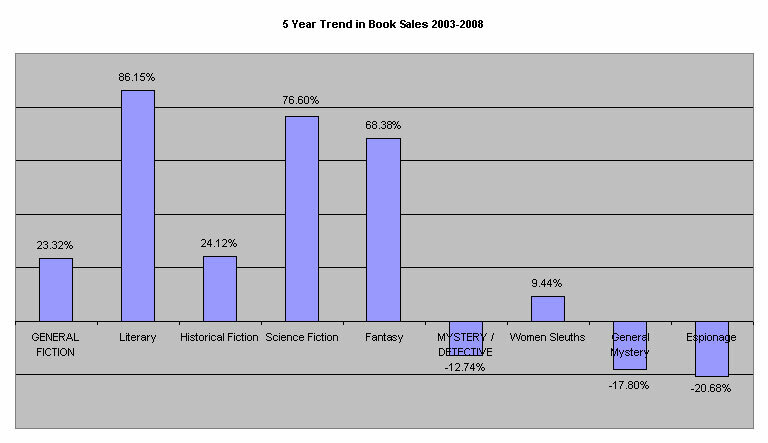 For example, fantasy reading has been increasing in sales since 1997, beginning to rival mystery. Knowing the reading interests in the country helps place inmate reading in the context of the wider culture. Examples of this trend are books made into movies such as Harry Potter, Interview with a Vampire by Anne Rice and the Twilight series by Stephanie Meyers. This is one small way to keep inmates connected to the outside culture, through shared reading habits. The collection development plan has one objective, to promote reading in an inmate population. Knowing the demographics of age, race, education, marriage status and number and age of children is only the beginning for assessing the reading needs of an inmate population. Other tools are necessary to create a fuller picture of reading interests. Part III will conclude with how to conduct surveys to guide collection development when books are read off the shelf without being checked out. Editors Note: Corrections.com author Judith Jordet graduated with Masters of Library Science in 2000; she has worked as a government documents librarian and taught Library Skills at an Oregon Community College. In 2007 Jordet became the full time Library Coordinator in the Oregon Department of Corrections. 70% of her job is as a law librarian. She is also in charge of the general reading collection. Her passion for inmate literacy motivates her to explore ways to promote to the correctional profession, the importance of the prison library among the inmate population as a pro-social experience. She shares the perspective of Stanton Samenow on understanding chronic criminality and Mark Colvin on the importance of pro-social support through the prison library. Such encyclopedic places wheter it be online such as studymoose review sites or in form of hard copies in Library. The involvement of such places in all kinds of places is recommended.